If you are having any difficulties getting the email links here to work just type or paste info@geneklein.com directly into your own email form. Sorry for the trouble. ​At about 6-3/4" long this bridle bit is slightly shorter than traditional Santa Barbara styles. It's fitted with a 3-1/2" tall Spanish spade mouth with copper beaded braces. With silver inlaid edge striping and hand engraved overlaid cheek silver, a French gray finish sets off the engraved steel inside the cheeks and on the spade. 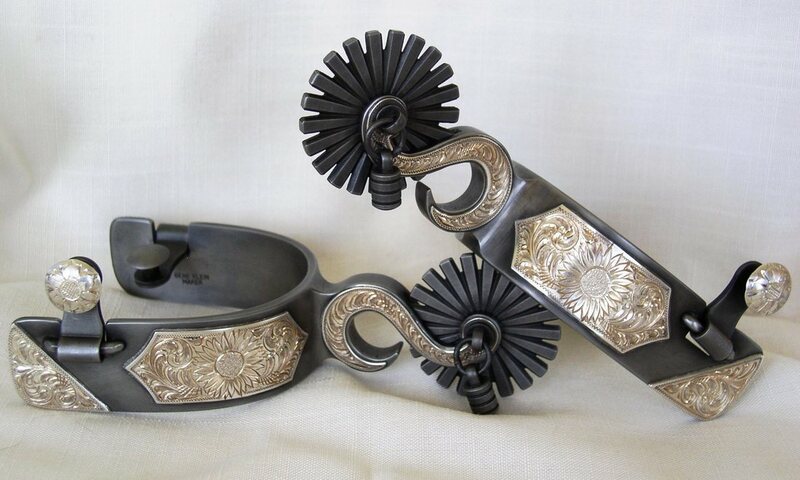 Finally, the 2-1/4" oval conchas, sporting raised overlaid silver flowers, round out the unique twists off traditional Santa Barbara style bridle bits. ​​This bridle bit was on display for sale at the 2016 Fusion Show and Sale held during the Branaman Pro/Am Vaquero Roping in Santa Ynez, CA. See what's currently ​in stock! Gene Klein has been designing and crafting unique hand engraved sterling silver and gold finery since 1988. 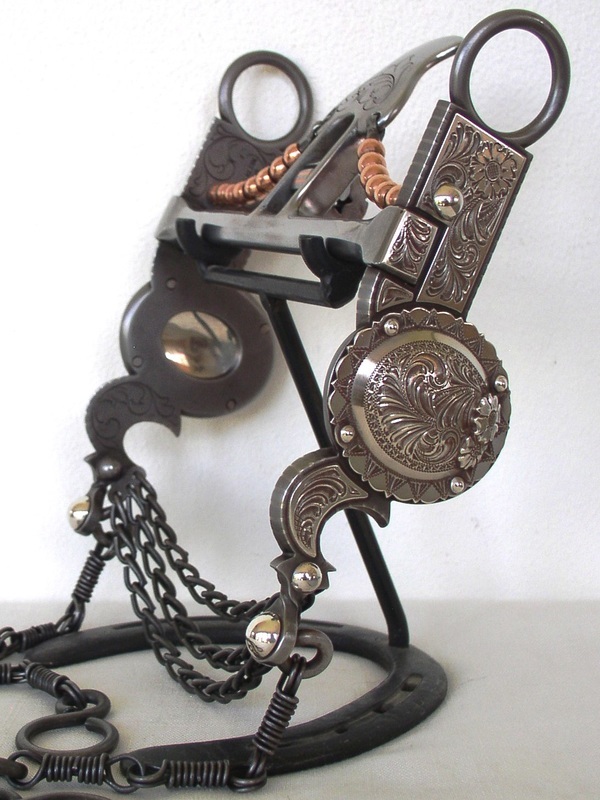 Ten years earlier he started building bits and spurs for his cowboy friends, and from the very beginning his goal was to create pieces that were absolutely functional. He wanted a product that no matter what its appearance, any horseman would know straight away it was right. ​Soon enough, Gene's artistry began to take hold in his work, and now cowboys and collectors alike have com﻿﻿e to appreciate Ge﻿﻿ne's attention to detail and his uncompromising ability to combine function and art in every piece he makes. Whether you end up hanging one of these fine pieces on your horse's head, off the back of your boots, or on your wall they're guaranteed to fit, work right and show well. 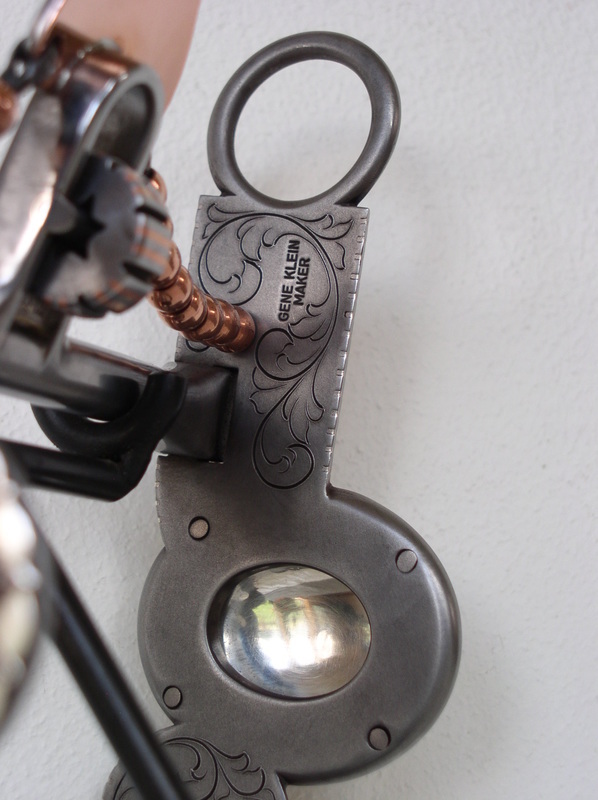 In addition to his custom work, Gene now has several standardized styles of bits and spurs in his own unique design . These are all designed, built, and hand engraved by Gene and feature the same high quality and artistry of his custom pieces. Take a few minutes to look through our site. 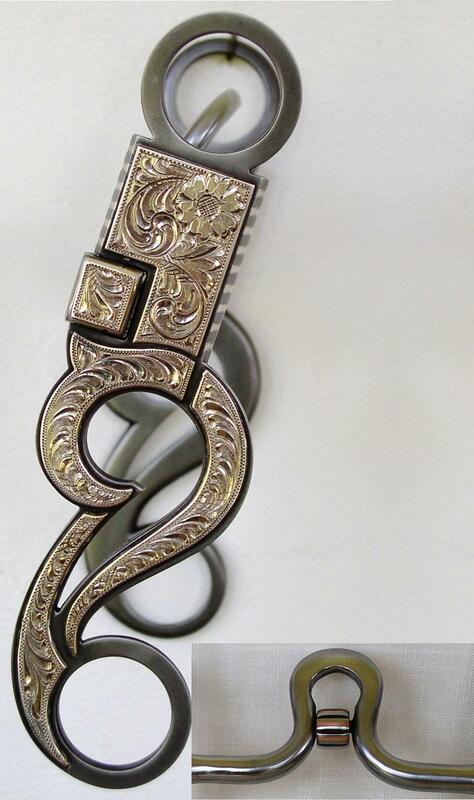 And don't forget to take a look at the fine hand engraved buckle sets and bracelets Gene offers. We're confident you'll like what you see. Can't find what you want? Call 575-483-2922 or email with your ideas and give Gene a chance to satisfy your needs for that one of a kind piece. Thanks for your interest.